Welcome to The AgLanta Conference 2019! 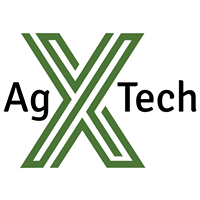 The City of Atlanta Mayor's Office of Resilience is pleased to team up with co-organizers Agritecture and AgTech X for the Southeast's largest Urban Agriculture conference. 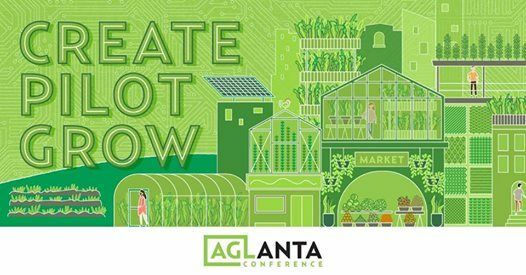 Now in its 3rd year, this two-day gathering will bring together local and global changemakers in the Urban Agriculture and Local Food movement. This year our theme will spotlight Innovation and Entrepreneurship. Attendees will hone in on three crucial stages of development for any endeavor - Create | Pilot | Grow - by participating in tours, locally-sourced meals, networking, speaker sessions, and creative workshops. 1. What will the future look like for urban areas defined by a strong local food system? 2. How can the urban agriculture movement better connect into parallel sustainable urban development movements such as the circular economy, green buildings, and clean energy? 3. 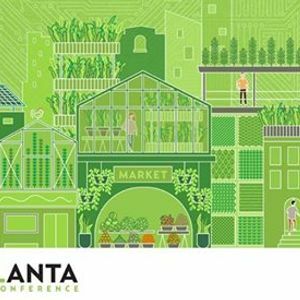 What role can innovation & entrepreneurship play in Atlanta's development as a leader in the urban agriculture and local food system movement? What other cities should we look to for inspiration? Tours of various Atlanta-based farms and businesses showcasing the diversity of approaches within the Urban Agriculture field. Attendees will meet at the Georgia Railroad Freight Depot in the morning and be led around the city to different sites along a predetermined route. The day will culminate with a networking session and happy hour at a new venue to be announced soon. Meals (breakfast, lunch, happy hour drinks), transportation, and entry to all sites are included in your ticket price. More information on specific sites will be released in the lead-up to the event. A gathering of 350+ local agriculture leaders, food system innovators, and city officials, along with a mixture of other passionate entrepreneurs, investors, media personnel and educators at the Georgia Railroad Freight Depot. If you're looking to make 2019 the year you commit to finding your role in the movement toward a better food system, you can't miss this conference! The day consists of jam-packed programming with specialized workshops, innovative exhibitors, and industry-leading speakers who will highlight the challenges, opportunities, successes, and failures they've experienced in this quickly-evolving industry. Breakfast and lunch, snacks and drinks, and a happy hour drink ticket are included in the ticket price. More information on specific speakers and topics will be released each week leading up to the event.